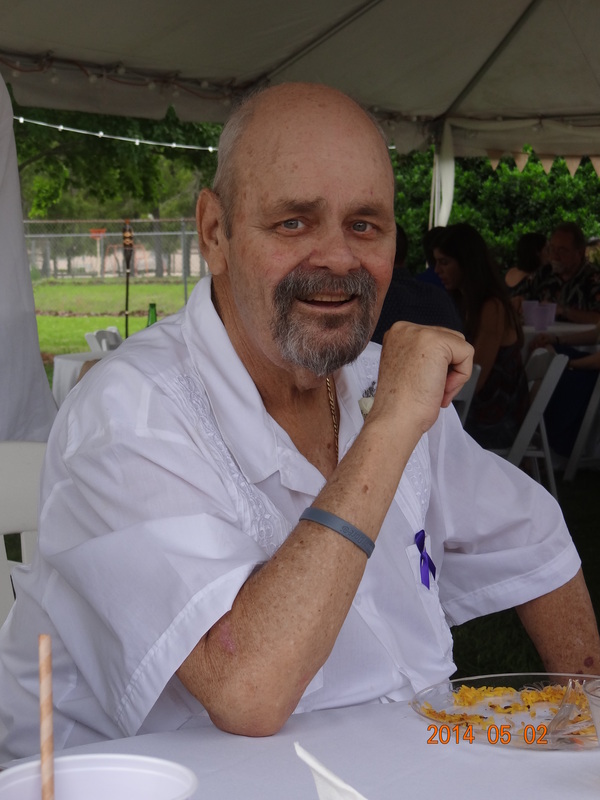 Roy Allen Evans, 64 of Green Cove Springs, FL passed away June 4, 2015. Mr. Evans was born in Portsmouth, Virginia and moved to the Jacksonville area in 1986 from Virginia. He served in the US Navy for 21 years and continued working at the base as a bagger at the commissary after his retirement. Roy enjoyed hunting, fishing, watching Jaguar Football, NASCAR and snorkeling. Traveling and going on a total of ten cruises with Sandra, his high school sweetheart and wife of 44 years, was a favorite thing to do. Mr. Evans will be missed by his family and many friends. Mr. Evans is survived by his wife, Sandra Evans, son, Jason (Jolene) Evans, daughters, Sandy (Aslak) Evans and Wendy (Will) Albino, sister, Candi (Craig) Allen, brothers, James Evans and Roger (Robin) Evans, brother-in-laws, Dr. Lee (Brenda) Godfrey, Lonnie Godfrey and Markham Godfrey, three grandchildren, Jacob, Jared, and Chloe and several nieces and nephews. Memorial Services were held 3:00 PM Tuesday, June 9, 2015 in the Chapel of Russell Haven of Rest Funeral Home with Dr. Lee Godfrey officiating. Military Honors were presented by the US Navy.